During May in Fort Worth, all eyes are on one of professional golf&apos;s most prestigious tournaments - the Charles Schwab Challenge. 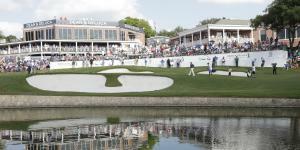 This nationally televised competition features the world’s top golfers on the PGA tour at Fort Worth&apos;s Colonial Country Club. There&apos;s something for everyone to enjoy all week! Plan your golf getaway to Fort Worth. Dennis Roberson, manager of the tournament, explains things to do, see and eat!